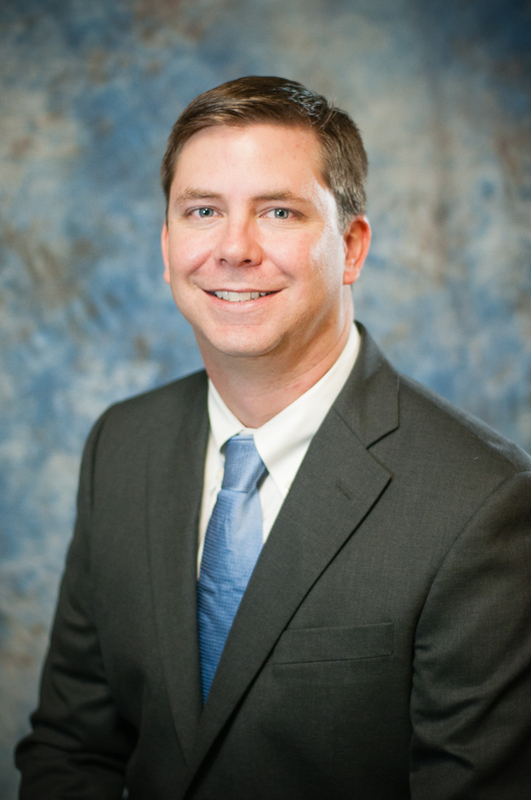 T.J. joined the firm as an associate in 2007 and was named a partner in January 2014. He is a native of Highlands County, where his family has been in the cattle business for over 50 years. He attended Mercer University and graduated with a Bachelor of Business Administration with a specialization in Finance. While at Mercer, T.J. was a member and officer in the Sigma Alpha Epsilon fraternity, named on the Dean’s List for his outstanding academic. T.J. attended law school at Stetson University College of Law, T.J. was named on the Honor Roll for academic excellence. 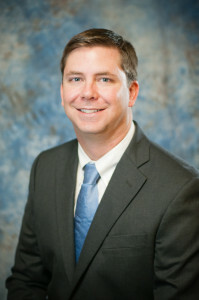 T.J. is active in the Highlands County Bar Association, where he has served as Vice-President and President. He is also a member of the Rotary Club of Sebring, the Real Property Probate and Trust Law Section of the Florida Bar, and the Highlands County and Florida Farm Bureau Federations. T.J. has served as the Attorney Advisor for Highlands County Teen Court and was a member of the Class of 2011 of Leadership Highlands. In each of the last eight years, T.J. received the coveted designation of a “Rising Star” from Florida Super Lawyers, a publication recognizing excellence in the legal community. T.J.’s designation as a “Rising Star” is shared by only 2.5% of the Florida legal community. Additionally, for his dedication to providing pro bono legal services to the less fortunate, T.J. was the 2010-2011 recipient of the Pro Bono Service Award from Florida Rural Legal Services. In 2012, he was awarded the Judge Clifton M. Kelley Award from the Highlands County Bar Association for his commitment to character and legal education. T.J. is licensed to practice in all Florida state courts and the United States District Court for the Middle District of Florida. In addition to his private sector clients, he serves as the City Attorney for the City of Arcadia, Florida. In his spare time, T.J. enjoys being outdoors and spending time with his wife, Carly, and their two children, Tommy and Quinn. Represented multiple landowners in negotiating $7 million in conservation easements covering nearly 4,000 acres with the Department of Defense, United States Air Force, United Stated Department of Agriculture, National Resources Conservation Service and The Nature Conservancy. Represents one of the world’s largest producers of phosphate on real estate matters in Central Florida, including real estate closings, title curative issues, and ensuring the acquisition of all necessary mineral interests. Represented plaintiffs seeking legal access to their 45-acre lakefront property. After a two-day bench trial, the Court ruled in favor of T.J.’s clients on all counts, awarding them a fifty-foot easement through the middle of the neighboring landowners’ property. Represented a tax deed purchaser against the prior owner’s claim to void the tax deed. The prior owner, a Fortune 500 real estate development corporation (Developer), acquired the 60-acre property for sand skink mitigation. To avoid potential exposure to an award of attorney’s fee in favor of T.J.’s client, the Developer agreed to dismiss it’s claim prior to trial and reimbursed T.J.’s client substantially all attorney’s fees and costs incurred. Just two months after the dismissal, T.J.’s client sold the property for a six-figure profit. Provided local representation to a national real estate investment trust (REIT) on matters affecting a 500,000 square foot regional shopping center located in Sebring. Upon the REIT’s sale of the shopping center in 2014, the new owner retained T.J. to continue representation. In 2016, one of the shopping center tenants, a family entertainment center with multiple locations throughout Florida, sought to terminate its 10-year lease prior to the end of the term citing the prior owner (REIT) failed to satisfy certain conditions necessary for the lease to become effective. The Court granted summary judgment in favor of T.J.’s client, which was affirmed on appeal to the Second District Court of Appeals. Successfully defended a claim to revoke a Will filed by four children of the decedent. The decedent had a long-standing estate plan which would devise her large, lakefront estate home to her children, in equal shares. Less than two months prior to her death, the decedent changed her estate plan, electing to devise the property instead to T.J.’s client, one of the decedent’s adult grandchildren. The Plaintiffs alleged T.J.’s client procured the new Will through undue influence and claimed the decedent lacked the requisite mental capacity to create the new Will. After a year of litigation in which T.J. took an aggressive approach to the defense, the Plaintiffs, fearing they would have to pay T.J.’s attorney’s fees, voluntarily dismissed the lawsuit. T.J.’s client did not pay the Plaintiffs a dime and continues to own and reside in the property. On a contingency fee basis, successfully represented the beneficiary of an estate who was named in his friend’s prior Will but cut out of her estate plan in a new Will executed a year prior to her death. The beneficiary named in the new Will retained one of the largest law firms in the country to defend the undue influence and lack of mental capacity claims T.J. brought on behalf of his client. From the outset of the litigation, T.J.’s client insisted that both he and the defendant were equal friends to the decedent and therefore a fair resolution would be an even split of the estate. The defendant vehemently rejected this offer. After two years of litigation, the defendant agreed to the even split. Obtained injunctive relief on behalf of a municipality to enjoin the owner of a 50-unit apartment complex from utilizing a private well system to provide potable water to the apartment complex residents and compelling the defendant to connect to the City’s potable water system. Has served as City Attorney for the City of Arcadia since 2012. Responsibilities include: preparing contracts, resolutions, ordinances and other written documents involving the City; performing legal research and preparing legal opinions; advising City officials; attending City Council meetings and other City boards and committees; and representing the City in litigation and administrative proceedings.